If you’re in Miami, Florida looking to explore, you must visit Wynwood. 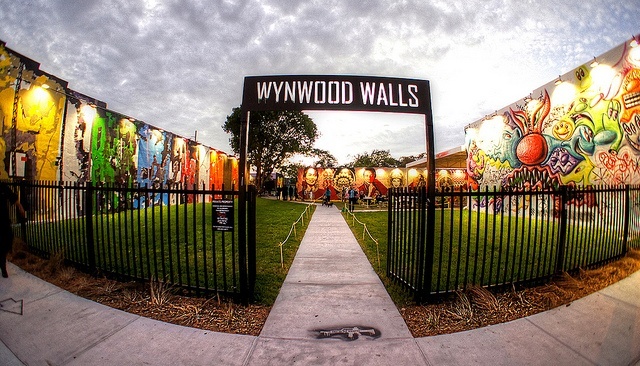 The Wynwood Arts District was a neglected neighborhood of abandoned warehouses transformed into a cool creative community by embracing graffiti and street art. The windowless buildings were turned into giant canvases, now featuring some of the world’s greatest artists. The main attraction is The Wynwood Walls on 25th-26th street but really the whole area, every building, sidewalk, and telephone phone is covered in artwork. By turning these blank walls into murals Wynwood is now a must see international destination filled with art galleries, boutiques, cafes, nightlife, and has grown in popularity after the arrival of the Art Basel fair in 2002.